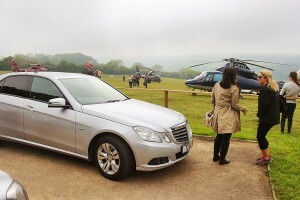 Luxury chauffeur driven cars where quality and comfort are paramount. There are times and occasions when you need something special – whether it be a business trip, VIP transfer, start to a holiday, special night out, Christmas party or maybe your anniversary. Apple Central’s executive car services have an extensive fleet of stylish and comfortable chauffeur driven vehicles which make luxury travel an absolute pleasure. Selected for their superior ride and cabin comfort, our prestigious silver-liveried Executive cars include: Jaguar XJL, Jaguar XF, BMW 7-Series, Mercedes Benz E-Class, BMW 5-Series, 8-seater Mercedes Benz Vito and VW Transporters. All of these exquisite vehicles allow you to use your travel time productively, whether that be working, playing or resting. 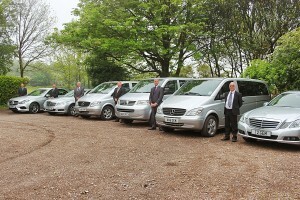 Our executive vehicles operate day and night, cater for all party sizes and are driven by an experienced team of helpful, friendly and reliable drivers. What’s more, we can be as flexible as you need us to be. We can provide a one-way service or we’re happy to wait at your destination and bring you back again. Luxury doesn’t have to mean expensive. We offer the most competitive rates for executive chauffeur driven cars in Exeter. We also offer the convenience of corporate accounts, online bookings and a choice of payment methods; It’s why so many of our customers such as Exeter University, Met Office, Flybe, Abode Hotel, and most of Exeter’s major law firms use us time and time again.